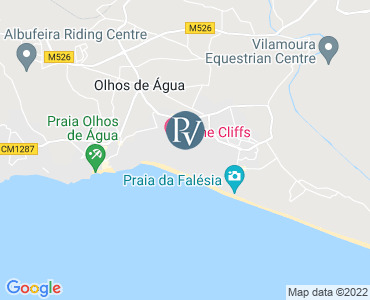 Located atop the dramatic red Algarvian cliffs that overlook the Atlantic Ocean, Pine Cliffs, a Luxury Collection Resort affords a privileged position, with views spanning the soft sand beaches, elegant pine forests and abundant indigenous flora. A secluded haven in southern Portugal, this award-winning resort provides a refined and alluring lifestyle. Surrounded by elegant pine forests and abundant indigenous flora, Pine Cliffs Residence was designed to offer generous private spaces in which families can relax and build lasting memories. The Pine Cliffs Residence apartments are highly recommended for a stay at this fabulous resort. Decorated in a contemporary, elegant and comfortable style, they are fully air-conditioned and come fully equipped with all mod-cons including a LCD-TV in all bedrooms as well as the lounge. Clients have access to all the facilities of the hotel, and are also located in a highly desirable location within the resort, next to the 'Casa Pine Cliffs' where you will find a reception, various bars, a Mediterranean restaurant, gymnasium, mini-market and large outdoor pool.